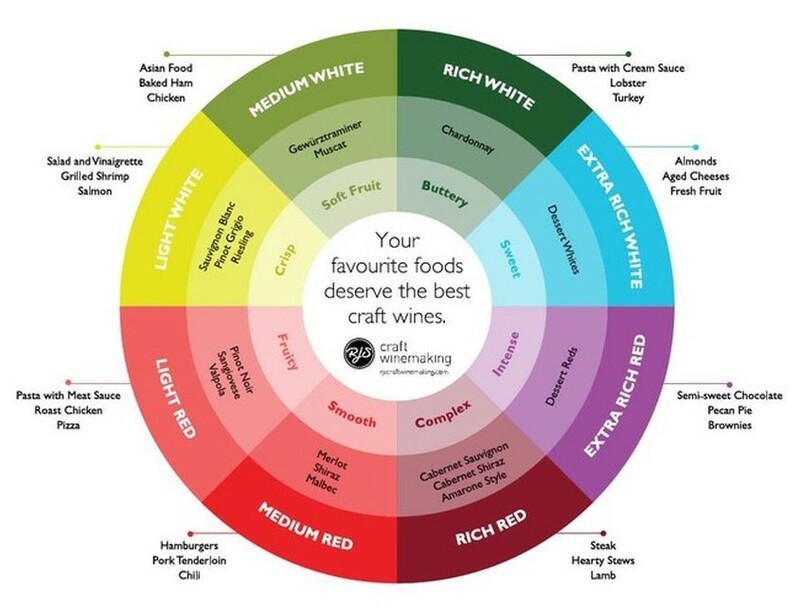 Match your wine to the strongest flavor on the plate. Balance the weight of the wine to the weight of the food. A full flavored meal needs a full-bodied wine; a lighter dish requires a lighter wine. Fatty, greasy or rich dishes need a dry wine with good acidity to clean the palate. Salty dishes need a slightly sweet wine with full fruit flavors, moderate acidity, lower alcohol and no tannins. Hot, spicy dishes require refreshing acidity, lower alcohol and fruity wines with a touch of sweetness. Cream sauces and butter require wines of good fruit and matching creamy style or contrasting acidity to cleanse the palate. The dessert wine should be sweeter than the dessert. Rare meats need young tannic reds and well-done meats need older or fruity reds with little to no tannins. Foods high in acidity are complemented by wines high in acidity. Make your PURELY Fabulous Wine at Flying Fish Winery.